I just returned from BlogPaws 2016 in hot, hot Phoenix and I enjoyed meeting many like-minded people. 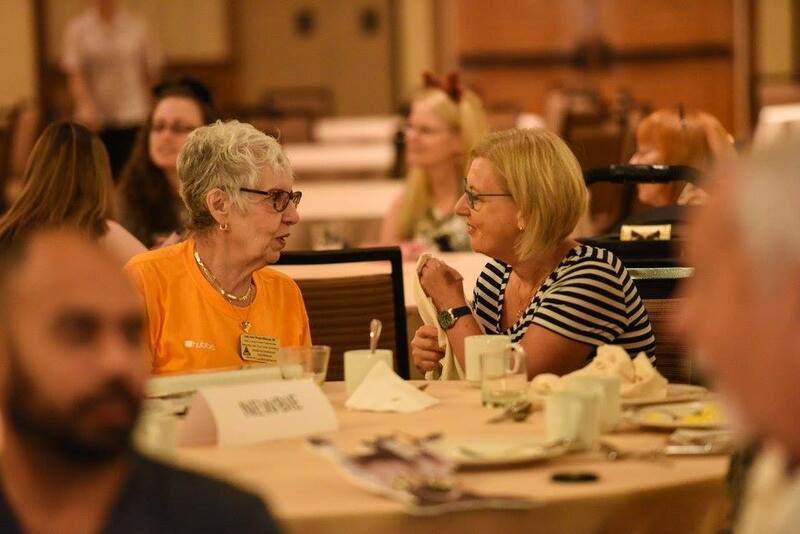 BlogPaws was a conference for those who blog about animals, and the brands which serve them. However, when I mentioned that I work with pet loss and grief, people often took a step back. I was surprised and saddened by the negative reactions some shared about the loss of a beloved pet. Perhaps because I have had the wonderful opportunity to be with family as they transitioned, death does not scare me. It is the next great adventure in this long journey. But, I realize many harbor fears about death and the separation from the physical body of their loved ones. People love their pets and consider them members of their family. Caregivers celebrate their pets’ birthdays, confide in their animals, and carry pictures of them in their wallets. So when your beloved pet dies, it’s not unusual to feel overwhelmed by the intensity of your sorrow. But, there is an opportunity to prepare for what is in the future of you and your pet. Denise Fleck, who teaches pet first aid , disaster preparedness and has a soft spot for senior pet care. Debra Hamilton who is an attorney specializing in mediating disagreements involving pets. Including preparing for their care in the event the pet parent dies or becomes ill. Myself, who is a Pet Grief Coach and offer resources and support for those crossing the Rainbow Bridge. Although our collective message carries extreme value to the caring pet parent, it is sometimes difficult to have these hard conversations about mortality. Stay tuned and we will be offering webinars, white papers and blog posts to educate and enhance the life you have with your beloved pets. Allow yourself the emotional freedom to grieve the death of your pet and don’t try to deny those feelings. If you do, they could be released in unhealthy ways. Learning about the stages of the grief process will fully equip you with the tools needed to combat the feelings of hopelessness and despair which can arise after the death of a pet. The grief may feel intolerable now, but you will survive. Your life will eventually return to a different wholeness. The day will come when the sweet memories will bring tender smiles of remembrance. Recognize that you have taken a blow to the heart and that takes some time to recover. Your first task is to take good care of yourself. As humans, we are wired for resilience. If you are having difficulty, may I suggest you start with my book Out of Balance? How to be a Bounce Back Person available at www.bouncebackfromanything.com if that does not help; you may need to find a professional Pet Grief Coach, such as myself-Judy Helm Wright. You can reach me at www.deathofmypet.com. You are much too important to not experience a life filled with joy. PS: Do you, friend or loved one need some assistance now or in the near future? Contact me today and I can put you in touch with one of the experts. Write to Judy@ArtichokePress.com with PRE-NEED ASSISTANCE in the subject line, so it does not get lost. PSS: Or……just write in the comment box and one of us will get back to you ASAP. Blessings and thanks for loving and honoring animals.